A real estate agent promoting a property with a great view from a backyard deck, for example, will stress that point time and again. However, not every property possesses a great view. With the right approach, it need not necessarily be a deal breaker either. It is important to understand that priorities vary a great deal among home buyers. That is, some buyers will be much more focused on the interior attributes of your home. Others may be moving from a place where unsightly high tension wires, for example, were a fact of life. Realize that what constitutes a bad view is, to a degree, in the eye of the beholder. Being unnecessarily self-conscious or overly concerned with troublesome views doesn’t help the seller in any way. Yes, there may be certain problems with the view that will ultimately reduce the selling price, but this is not necessarily a given. Certain buyers are focused much more on the living environment inside of the house than on what they will see in those relatively infrequent moments when they’re looking out across the backyard or across the street. That said, an unsightly power pole, an old warehouse building, or a color blind neighbor with the bright blue house across the street can present problems. Short of relocating the home, the effects of undesirable views can be minimized to a degree. Here’s some advice as to how to cope with problematic views. First, control what you can. Make your Columbia home the most impressive one in the neighborhood. The idea is similar to how we dress. Clothing is often tailored to draw attention to our best qualities and away from those that are less appealing. Draw the attention of buyers toward your property, and they’ll dwell less on unattractive elements in the neighborhood. 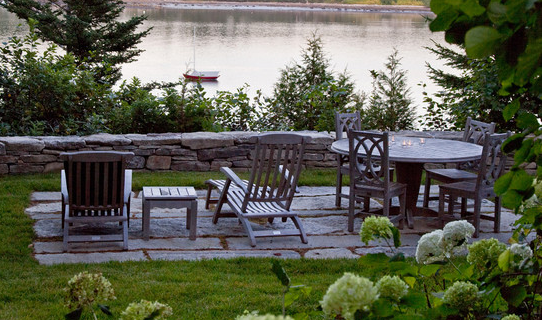 Show off a yard that is crisply maintained and beautifully landscaped. Make that first moment that a buyer steps into your home something special. Second, do what you can to block the undesirable view. You might plant a large tree or two, or a hedge to minimize the distraction. Before embarking on this solution however, be sure to check local codes and/or homeowners association rules to be sure that you aren’t planting something inappropriately. Third, sometimes the problem is a poorly maintained home or an unkempt yard in the area. Occasionally, this is due to illness within the family, or it may be related to the advanced age of the occupants. You may want to offer to go and clean up the problem property. Or, you may want to cut the grass for that particular homeowner. Don’t hesitate to rely on your Columbia-area agent to make suggestions about how to deal with problematic views. One thing you’re paying for is the agent’ experience, and he or she is undoubtedly experienced with this very problem. An agent will undoubtedly be able to offer ideas as to how to minimize the problem. After all, it is in the agent’s best interest to promote the sale and to deal with the bad view as well. Ultimately, a bad view may reduce the value of your property. But, be honest with yourself, you may have paid less for the property due to old warehouse across the street when you purchased it. Also, realize that a bad view may reduce the ultimate selling price, but property elements that you can control can simultaneously increase the selling price, such as making your home the very best one that prospective buyers will see in the entire neighborhood. If you’d like to learn more information about selling your home in the Columbia area, feel free to contact us. 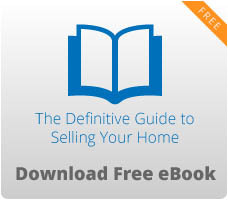 Also, don’t wait to read our free home seller’s eBook! It will show you how you can increase your home’s value and how you can secure bigger offers.